← Help me: Should I run tomorrow morning? Well that was easy…5.1M done! 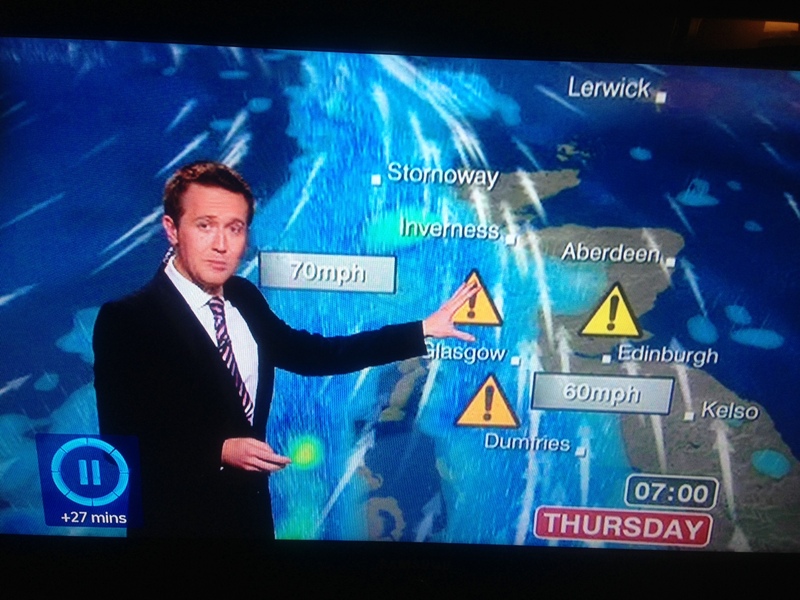 I don’t know what all the fuss was all about last night… me doubting if I should go for a run because of the ‘weather warnings’…. woooooooo scary wind and rain!! Oh no what might happen?! I left the flat at 6:32am…. and met my bachelor neighbour ‘Willie’ in the close. He was leaving for work as usual, and I was going for my run. I had on my (old) Saucony Paramounts, yellow trainer socks, orange/yellow shorts, a pinky/orange compression top, yellow nike tshirt, my orange (windproof and water proof) gillet and my white cap to keep the rain out of my eyes. I should have taken a picture, but apparently I made his day by him seeing me (to laugh at or like my legs, I’m not sure which lol) so that was a nice start to my day. I opened the front door, half expecting an apocalyptic scene… but it was fine. Sure it was dark and a little windy…but it wasn’t really raining. Not proper Glasgow rain anyway. The first few miles were fine, and the rain only really kicked in around half way. Even then, I was warm and covered up well. And I was running through built up areas so I was pretty much sheltered for most of it. I felt strong running, very comfortable in my cardio. But I did feel yesterday’s gym session(s) in my quads a bit at the start. Ouch. I started out well (8:04 for the first mile), ran the second mile the slowest mile (uphill at 8:24), then the miles just got quicker and quicker. 7:51, 7:32, 7:06. Average pace of 7:46, a little quicker than last weeks 5 mile run (on another route) but much the same really. The good thing I find about running in bad conditions is that I think it makes me push it a little harder. As if the faster I go, the less time I’ll spend in the wind and rain. 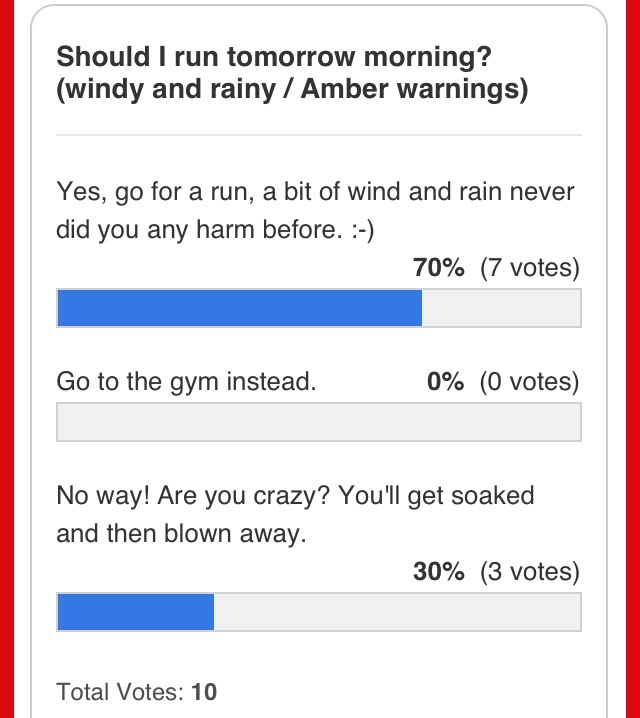 😉 Here are my tips for running in the rain by the way. And by the way, no matter how bad it looks, you can usually be safe going out for a run (unless it’s flooding or proper hurricane weather). 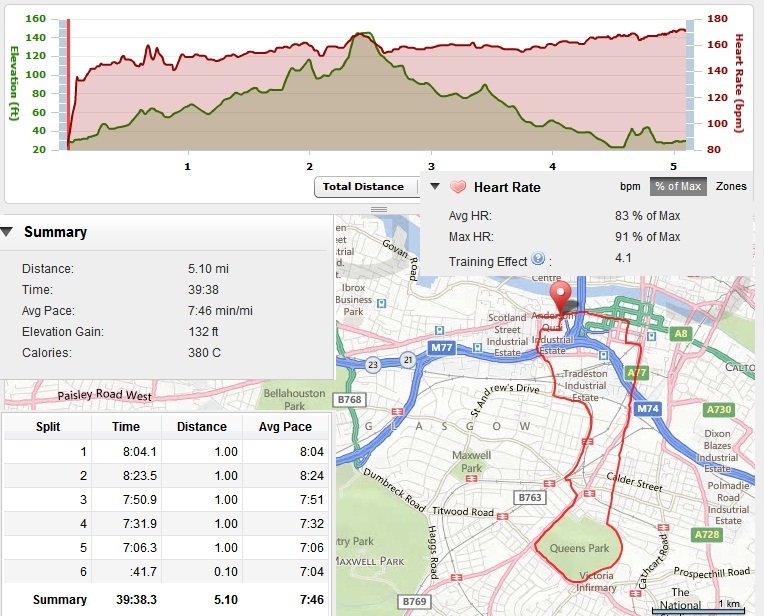 5.1 miles, 39:38, Pace: 7:46, Calories: 380, Garmin Training Effect: 4.1. 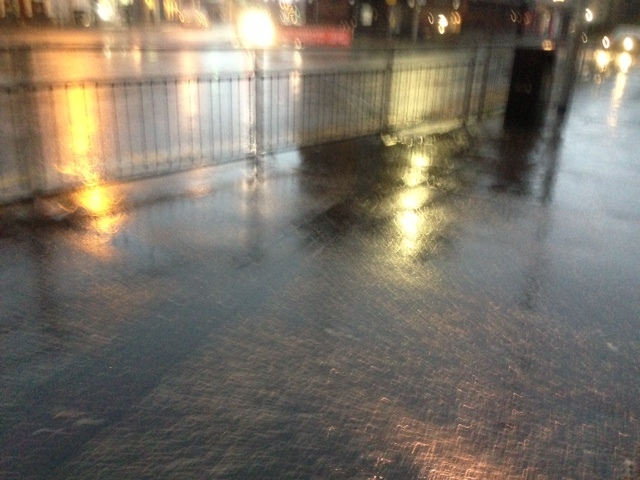 This entry was posted in Run, Weather and tagged 5, 5 miles, miles, rain, run, wind. Bookmark the permalink.